The classic "What's black and white and red all over" joke may get old, but black, white and red prints never do! 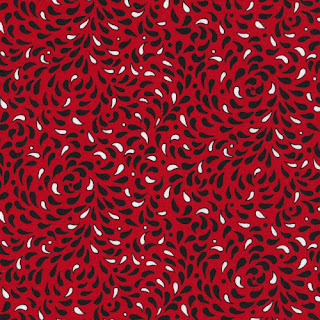 We're excited to share Thoroughly Modern, a new collection by Virginia Robertson. And yes, it's black and white and red! 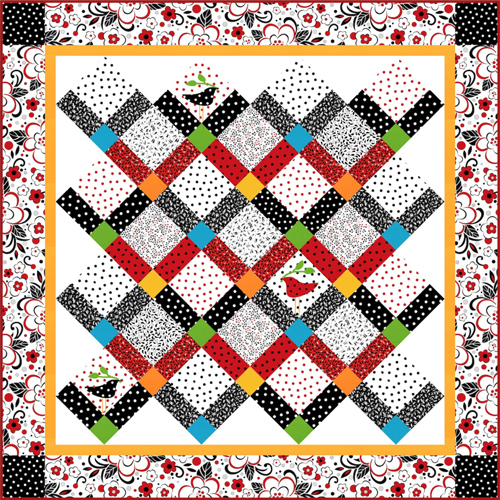 Virginia has a rich history of fabric and quilt design, and we're thrilled to have her designing for us. 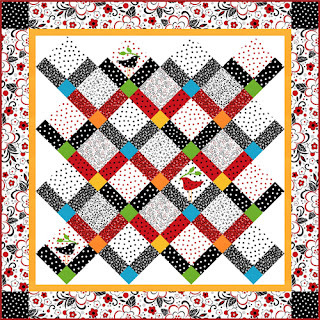 Take a peek at the Thoroughly Modern fabric line, read what Virginia has to say about it, and be sure to download her free quilt pattern--we know you'll love it! Q. Why red, black and white? VR: I think black, white and red is a basic. It has always been a classic, popular color gropuing, kind of like having your basic blenders. Q. What inspired the designs for these prints? VR: The prints came from 20s, 30s and 40s prints that I liked. Except for the little people, which is exactly like a tea dyed cream and black fabric I had, the others are drawings I’ve done inspired by every imaginable old fabric line. The little people are one of my favorites, which is why I used them exactly as they were. Q. 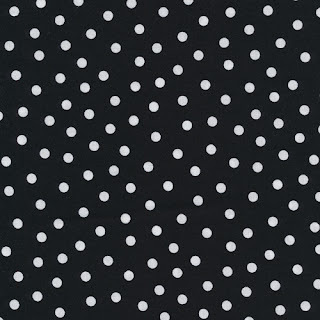 Everyone loves a dot fabric. Tell us about yours. VR: The dots are not in rows, so you don’t have to worry about cutting on the straight of the grain. 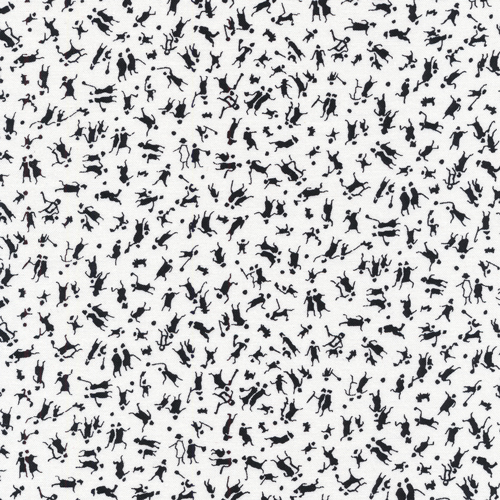 I always need dots—they’ll go into my collection in my studio for my work. Q. What about the focal print? 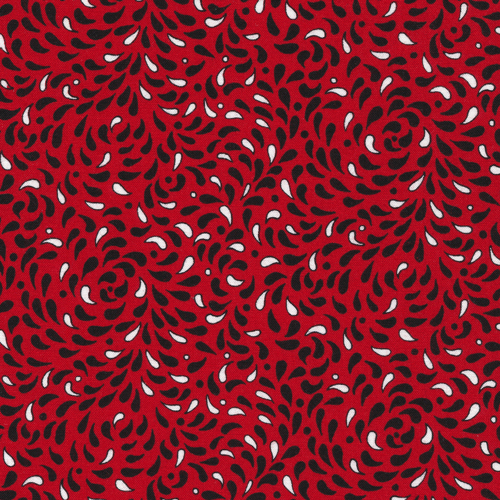 VR: The big floral was actually a batik design that I simplified and adapted to go with the line. The little teardrop print was as well. The batik designs were more painterly, more impressionistic. This version is more of a clean, clear, and crisp design. Q. 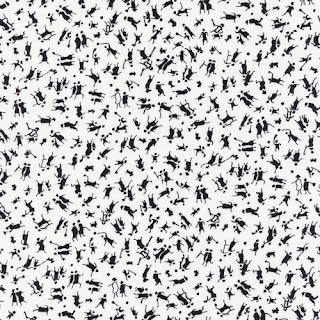 What ties all of these fabrics together? VR: The color palette and the drawing style hold them together as a collection. Q. What made you decide to add the pops of solid color in your Thoroughly Modern Zig Zag free quilt pattern? VR: The quilt needed some visual relief, and that’s why the solids are mixed in. The solid colors I chose are the exact ones I had in mind when I crated the prints—I think they give the collection (and the quilt) more of a modern look. 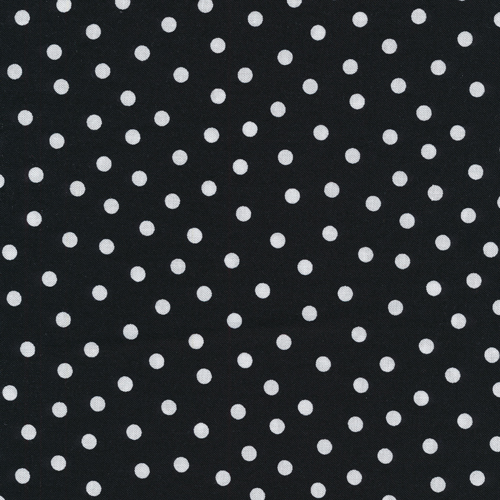 The prints are so mid-century modern and the solids give it a retro modern feel. Download the free pattern for this quilt here. what a cute line! Every fabric is so very usable in any quilt. 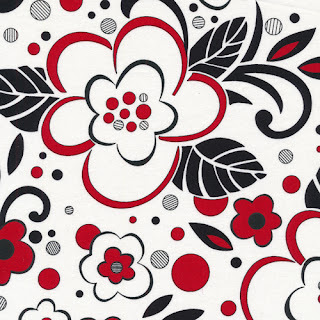 Love the Black, White and RED!! !